In the defense industry, 67 percent of managers expect the decline in European defense spending to be coming to an end. The trigger is the deteriorating geopolitical situation, coupled with ongoing security concerns closer to home. "The big spending on developing new commercial aircraft programs has all been done in recent years," explained Manfred Hader, Partner at Roland Berger Strategy Consultants. "Now the job is to optimize production processes and supply chains to cut out the possibility of supply bottlenecks. Given that the current level of large commercial aircraft deliveries is already 52 percent above the previous industry peak, concerns over capacity will come to the fore. At the same time, the lack of new programs means that clear measures must be taken to preserve engineering competencies." The global aerospace and defense sector is looking to the future with optimism. 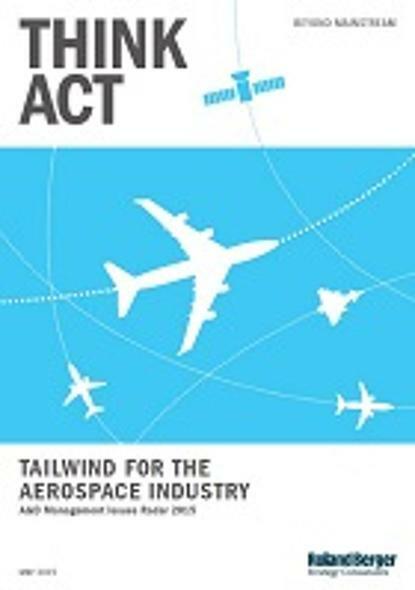 That is one of the findings of a survey of 150 of the industry's top international managers who were interviewed by Roland Berger Strategy Consultants for their "Aerospace & Defense Management Issues Radar 2015". In it, 73 percent of respondents believe the strong growth of the commercial aviation industry has at least another five years to run. However, only 58 percent of companies are making investments in additional capacity, and of these companies, three quarters are being careful about adding too much additional capacity. As a result, the supply chain may struggle to support the ramp-up in production planned by major players.